At Freedom of the Press Foundation, we’ve found news organizations that get the most out of SecureDrop are those who promote it regularly and effectively. SecureDrop will only be used by sources if they know it exists, so it’s best to promote its use in a variety of ways so that a wide swath of people will see it. 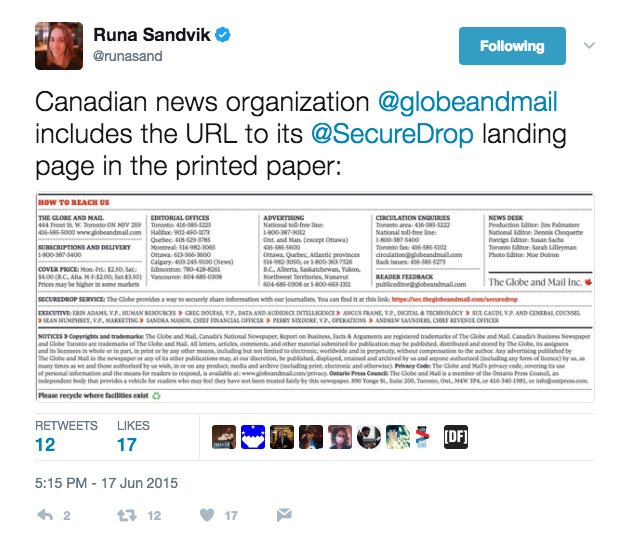 So here are a few tips used by some of the news outlets that have seen the most success with SecureDrop. Anytime you launch a SecureDrop, you’ll want to write an accompanying news story along with it to alert your readers and potential sources where to submit information. Almost every news organization already does this, but some good recent examples come from USA Today, The Guardian, and Wired. You can also write a companion Q & A like the Washington Post did. However, a launch announcement is really just a small piece of the puzzle. It’s important to regularly remind readers and potential sources that your SecureDrop exists, because only a tiny fraction will likely see the launch announcement and it will quickly be buried in other news after a couple of days. Making your SecureDrop or secure tips page easy to find is one of the most important things you can do to ensure that potential sources use it. The best way you can do this is providing a clear link on your home page, so that every time a user goes to your website, they can quickly see where they need to go. Other news organizations put a little link in their footer, however, we’ve found that this is not as effective as putting it in a more prominent on your front page. To better help potential sources visualize how SecureDrop works, several organizations have made short instructional videos walking through all the steps. Some good examples include the Toronto Globe and Mail, The Intercept, and Lucy Parsons Labs. 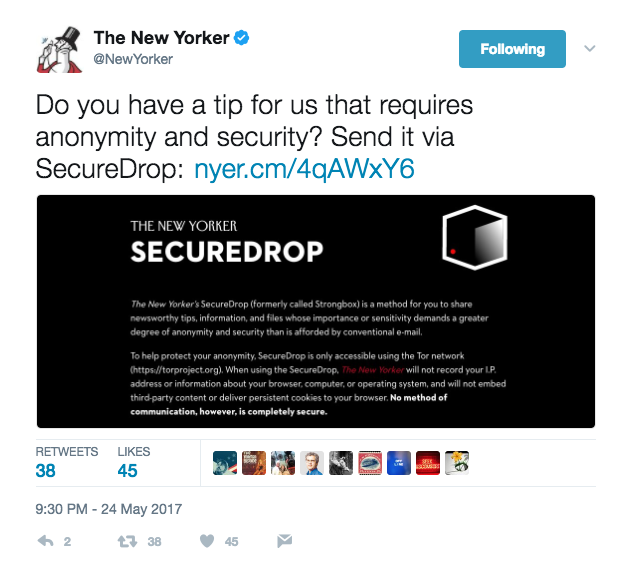 The majority of adults in the United States now get their news from Facebook or other social media sites like Twitter, so it’s important to regularly remind people via social media posts that SecureDrop is the safest way they can contact your journalists if they have a sensitive tip to share. 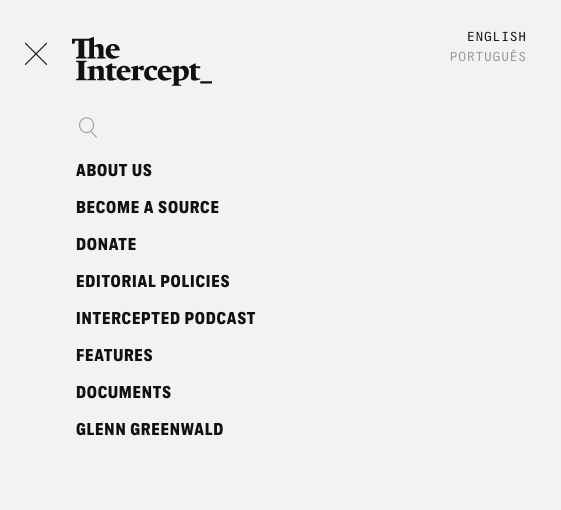 If there’s specific stories you are looking for tips on that may already be in the news, this is a great way of getting added attention to your SecureDrop. Facebook and Twitter also allow for targeted advertising to users in specific locations, attributes, and sometimes even specific users. Gizmodo Media Group recently targeted online advertisements for their secure tips page at DC residents imploring them to tell on trump. At Freedom of the Press Foundation, we ran a proof of concept Twitter advertisement aimed at EPA and NOAA employees to show how it can be done. You can read about how you can do the same thing here. 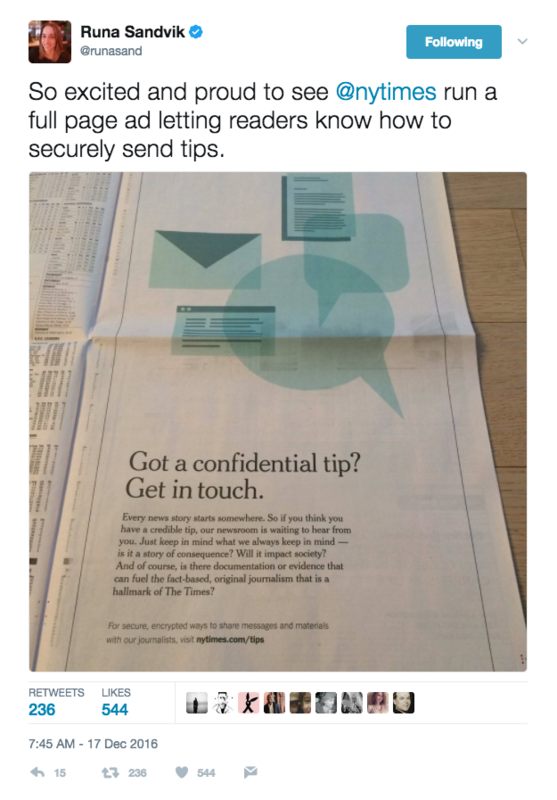 Obviously this tip only applies to news outlets that also print a physical newspaper, but putting an ad or in the paper to tell readers where to go to access SecureDrop can be extremely effective.